This Waterfall neighborhood kitchen remodel has a modern aesthetic with elements of industrial design. 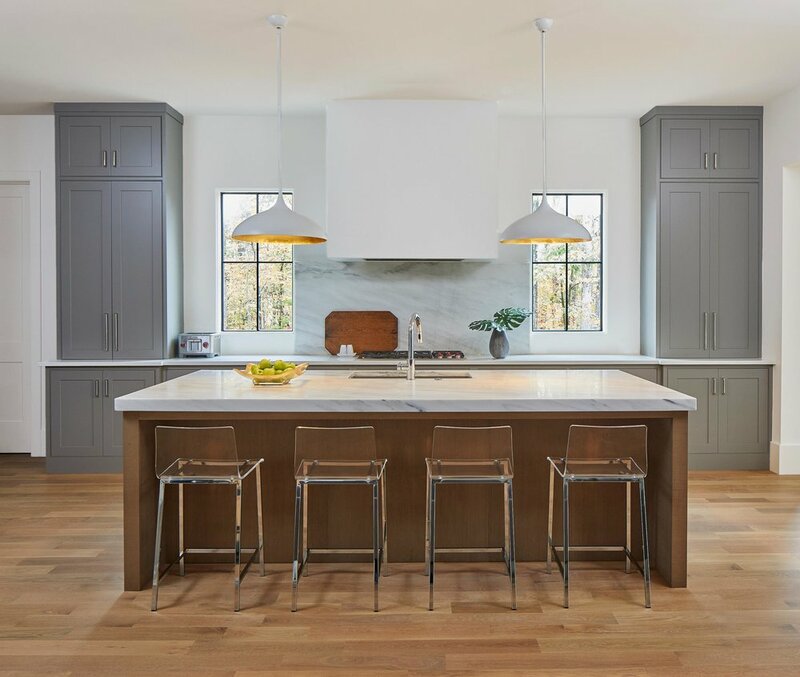 It features flush mount Sub-Zero Wolf appliances which are easily recognizable due to their bright red knobs, a kitchen island with a Montclair Danby Marble countertop, and waxed oak wood flooring. The Sierra Pacific windows were installed without trim which enhances the elegance of the room. They seamlessly coordinate with the steel handrails on the stairwell leading into the space. The exterior of the range hood was built on site and painted to match the wall color. It has a Wolf liner with recessed controls. Click on the images below for a full screen view. The kitchen island base is a frameless design by Eclipse. It has a reconstituted white oak veneer and a stain color named Echo Ridge. The island countertop is Montclair Danby marble. The same marble is used for the cooktop backsplash. A Kohler Strive stainless steel undermount sink and Delta Trinsic pull down faucet in polished chrome complete the look. The surround cabinets are by Shiloh Cabinetry. They are a frameless design with beaded inset, flat panel doors in the Sherwin Williams color, Dovetail. The cabinets are matched with white quartz countertops for a streamlined modern appearance. The cabinet hardware is Top Knobs polished nickel. 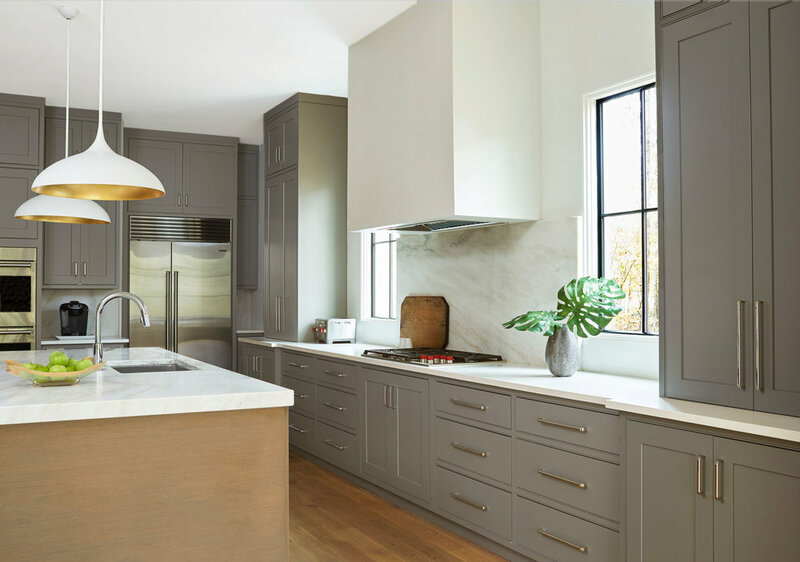 The team here at Toulmin Cabinetry & Design worked hand in hand with some of the most creative professionals in West Alabama. Hugh Underwood of Delview homes was the contractor on the project and Krisy Bunn of Krissy Bunn Designs provided interior design services. Jean Allsopp was the architectural photographer who created the images you see on this page.